In order to keep your Zoysia lawn looking fresh and healthy, it’s important to make sure your grass is receiving the right amount of water. 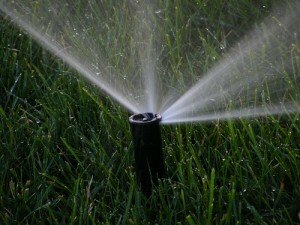 The best time to water your lawn is in the morning, preferably before noon. This allows the grass to dry before nightfall, reducing the risk of disease. One benefit of Zoysia grass is its ability to stay thick and green with much less water than many other types of grasses, helping you save on your water bill! Amazoy will require up to 80% less irrigation than other types of grass, and will only need supplemental watering if there has been little rainfall. A good way to test if your grass needs watering is to look at the surrounding ground. If the dirt is dry and cracking, its time to water your Zoysia grass. Be sure to avoid over watering, because excessive watering can damage the roots. If you have questions, check out our Moisture Meter to determine your grass’ watering needs. To maximize growth of Zoysia grass, the plug roots should not be saturated. Because Zoysia’s vigorous root system is so deep and extensive, once the lawn becomes established, little, if any, supplemental watering will be needed to maintain your lawn. Try these items geared specifically for watering your Zoysia lawn. Your Zoysia grass offers a comfortable place for you and your family to be active and enjoy the outdoors. 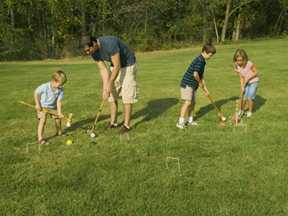 Lawn games are fun activities which bring your family together during free time. Your lawn can also keep your guests active and happy while livening up your family reunion or barbecue with some backyard fun. Below are some lawn games you might want to try while spending time outside enjoying your Zoysia lawn. Zoysia grass is durable and grows thick and plush like a carpet, allowing your family and friends to enjoy outdoor games all season long. Set up a family game night outdoors to have some family fun and let the kids play away! Check out our outdoor game sets for the whole family. There are many different types of fertilizers that claim to help nourish your lawn. With all the options that are out there, it is difficult to know which is right for your lawn. You should be aware of what kind of fertilizer is right for an Amazoy zoysia lawn. Granular fertilizers are probably the type of fertilizer you are most familiar with. While these are most common and popular with homeowners, they are not best for your zoysia lawn. Granular fertilizers tend to simply sit on the surface of grass, causing burns that could damage your plugs. The nutrients never reach the roots, where they are most needed. Water Soluble Fertilizers allow for the fertilizer to dissolve in the water, which takes the nutrients directly to the roots. This provides your grass with vital food elements that help it grow to become lush and healthy. Read more about our own fertilizer, Nutri-20, and how to apply it. As we learn more and more about how to best take care of the earth around us, here are a few tips on how to make lawn care more eco-friendly. Most grasses only require an inch of water per week, and with zoysia grass, that is even less. Be wary of how much you are watering; too much can be bad for your lawn and your wallet. To give the grass the water it needs, water in the early morning or evening so that less evaporation occurs. 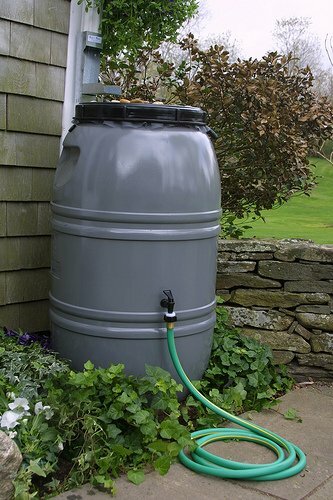 Also, think about using rain barrels to reduce dependence on your town or city’s water source. It can also save you money. Next time you think to buy fertilizer for your lawn, consider leaving lawn clippings. Lawn clippings can provide as a great natural fertilizer and don’t cause thatch buildup. 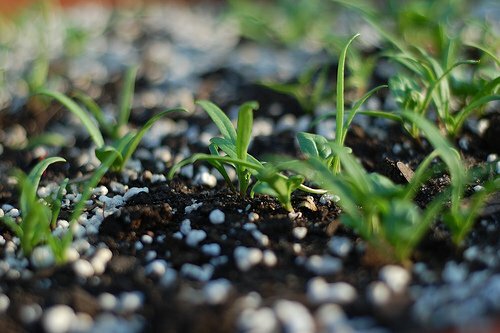 When adding nutrient to alter your soil, make sure that you are using organic products like organic lime or elemental sulfur. This will help your soil absorb sunlight and water the appropriate way, ultimately conserving resources.